Leona Maguire and Stephenie Meadow are both in the Top 20 at the Garden City Classic at Buffalo Dunes and head to the final day six shots off the lead. 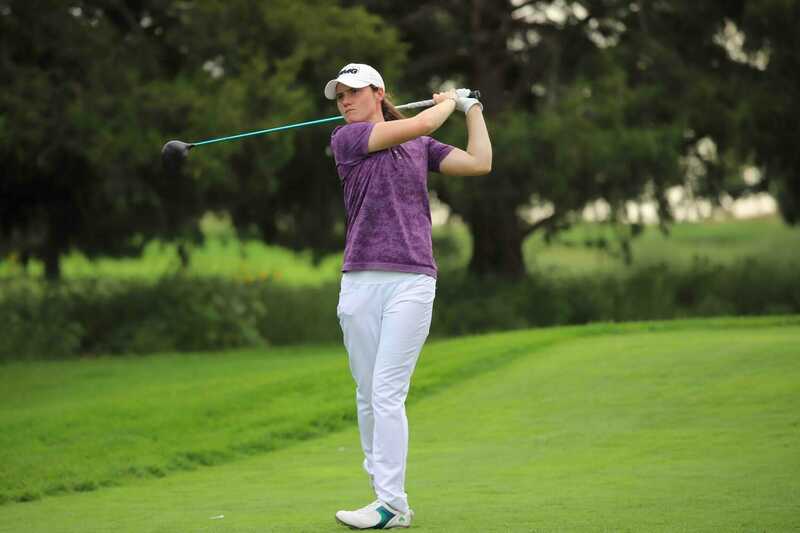 Maguire, who carded a second consecutive 69 at the Kansas venue, had three birdies and no dropped shots in her round which sees her on a six under par total and in a six-way tie for 20th place. Stephanie Meadow, who is also on six under par returned a two under par score of 70 to add to her opening 68 as she looks to secure her place on the LPGA with a top finish on the Volvik Race for the Card. Meadow is currently sitting in third place on the OoM behind Linea Strom and leader Dottie Ardina. Meanwhile, at the top of the leaderboard in Kansas it’s déjà vu for Dana Finkelstein (Chandler, Arizona), who was the 36-hole leader the last time she competed at the Garden City Charity Classic in 2016 and heads into the final round with a one shot advantage at 12-under par overall. A bogey-free, 6-under par served as the second consecutive 66 carded by the UNLV alumna, helping place her atop the leaderboard. Meanwhile, four players fired rounds of 7-under par 65 this afternoon, the best score to come out of the second round. The group included August Kim (St. Augustine, Florida), Madison Pressel (Boca Raton, Florida), Matilda Castren (Kauniainen, Finland) and Marta Sanz Barrio (Madrid, Spain). Kim heads into the final round as the closest competitor to Finkelstein at 11-under par overall. She signed a bogey-free scorecard when the dust settled at Buffalo Dunes Golf Course. The third piece to the final pairing is Pressel. After a Symetra Tour career-best showing, she’ll join Finkelstein and Kim in the final group. Tied with Pressel for third place is Becca Huffer (Denver, Colorado). In addition, a group of five individuals are three strokes back of the lead at 9-under par. A total of 65 players made the cut of 3-under par, besting the 2017 cut by nine strokes.